Also called the Hill of the Muses, Filopappou Hill – along with the Hills of the Pnyx and the Nymphs – was, according to Plutarch, where Theseus and the Amazons did battle. Inhabited from prehistoric times to the post-Byzantine era, today the pine-clad slopes are a relaxing place for a stroll. 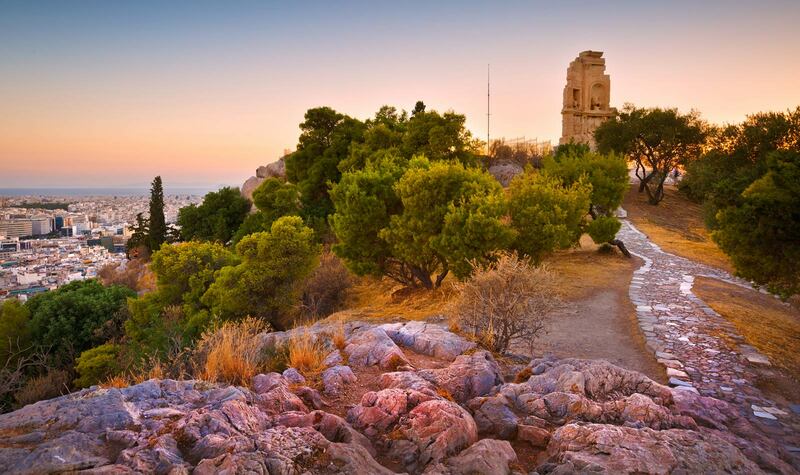 They offer excellent views of Attica and the Saronic Gulf, well-signed ruins and some of the very best vantage points for photographing the Acropolis.